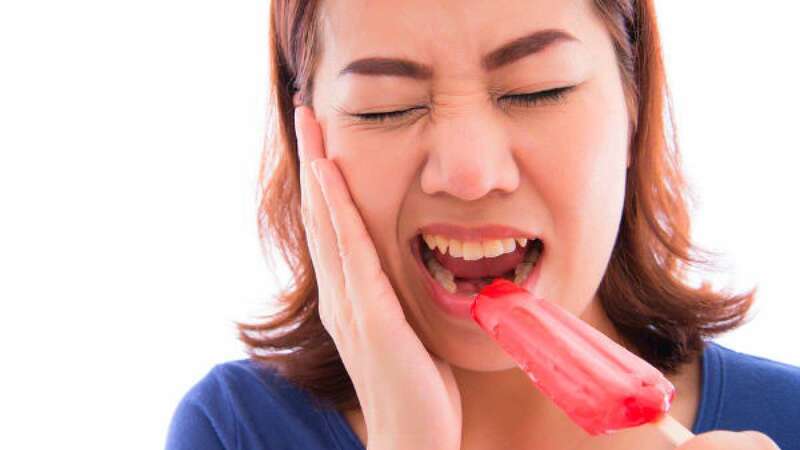 New Delhi : Are you suffering from tingling of teeth on eating some cold or hot food; sometime sour or sweet food? If so, then the problem is called sensitivity of teeth. Our teeth suffer from such conditions due to bad food habit, tooth worms and also due to increasing age. Problems like cavity, gastricity and sensitivity in teeth are getting common day by day. And, it is time to check the cause and start taking some treatment. Dental experts say that bacteria and plague of the mouth is the reason behind the sensitivity of teeth. Let's know some other cause pain in the teeth and learn some treatment to get rid of the tooth problems. Dementia in the gum opens due to loosening lump of the gums and continuous broken fractures. This condition increases sensitivity in the teeth. When the rotten decay of the teeth due to cavity reaches the veins, the problem begins to grow. Many times the teeth seem to break down due to weakness. Some people consider using toothpicks, floss or wrong toothbrush which leads the teeth and gums to weaken and gradually suffer from damage in dentin. Consuming sweet and processed foods regularly causes damage to the animal. It is advisable to consume balance diets, raw vegetables and fruits. Some people adopt teeth whitening and dental cosmetic treatment to remove the yellowing of teeth which creates the problem of sensitivity in gums. Chewing black sesame is very beneficial for black mole teeth. Chewing one spoon black sesame twice a day is beneficial in sensitivity. Fill coconut oil virgin coconut oil in your mouth for 15 to 20 minutes. After this, remove the oil from your mouth and brush and brush. Mix well with sesame seeds, mustard and coconut oil, sesame oil, mustard oil and coconut oil by one spoon. Now massage the teeth and gums with this oil. After that, clean the mouth with lukewarm water. Do this for a few days and see the result. Be sure to eat a bowl of curd every day. It’ll prevent your teeth from being rubbed and protects your teeth from the problem of chaos. Massage with salt and sarso oil. Massaging with salt and mustard oil is also beneficial. Even today, more than half of the population in our villages manages to salivate with salt and sarson oil to keep teeth healthy. It does not cause cavity and keeps the gums healthy. If you want, you can massage teeth and gums only with mustard oil.